This cruck barn was erected in about 1504, at the same time as LittleMoreton Hall itself and was part of the home farm. However it appears to have been built with crucks from an earlier building, so the crucks themselves are probably much older. 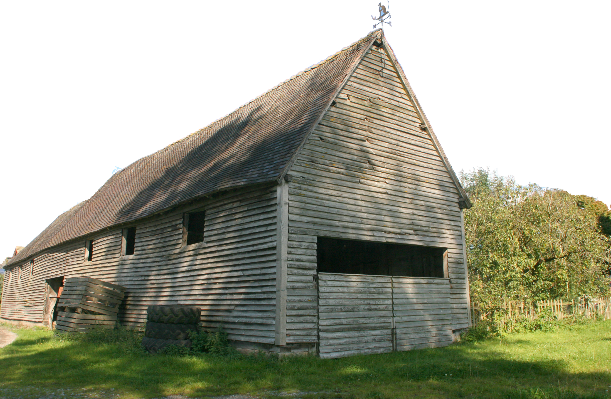 The barn was built in two phases with the three bays to the south being the earlier phase and the three bays to the north being added later with a connecting midstrey. There are gable partitions at either side of the midstrey, while doors have been inserted at each outer end.